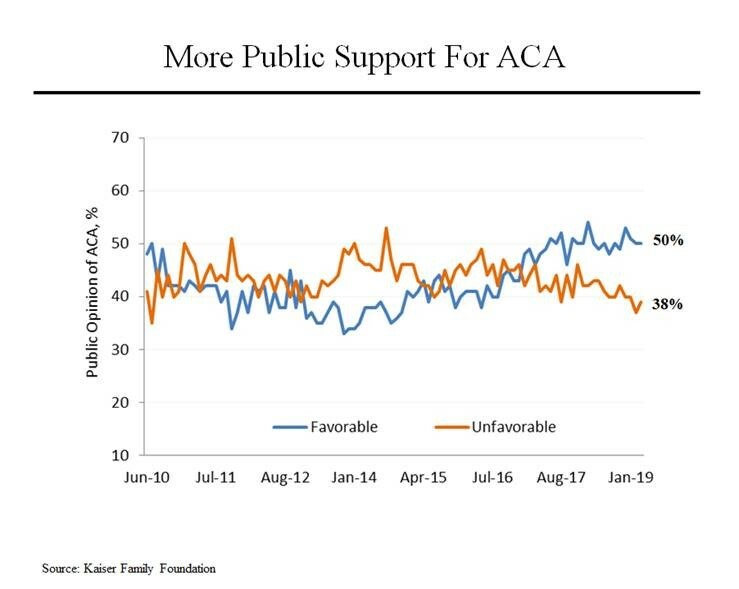 On MSNBC’s Morning Joe today, Steven Rattner presented charts showing that Trump has succeeded in denting Obamacare while public support for the program remains strong. Health care has been much in the news this week. Most significantly, the Trump Administration now seeks to have the entire Affordable Care Act declared illegal. But that was not all. The Democrats, seeking to capitalize on the popularity of Obamacare, unveiled their own health care plan while final figures released in Washington showed that A.C.A. enrollments dropped for the third consecutive year. 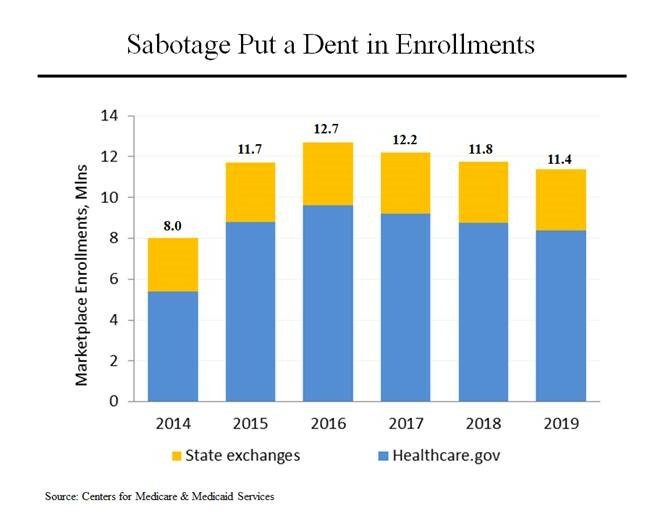 As this chart shows, the number of Americans purchasing their insurance on the marketplace exchanges peaked at 12.7 million in 2016, up dramatically from 8.0 million in 2014. But by this year, enrollments had fallen to 11.4 million. It’s important to note that virtually all of this decline occurred in states where the federal government operates the exchange through its healthcare.gov site. In states that run their own exchanges, the number of enrollments has stayed virtually constant at around 3 million. That’s not a coincidence; it’s largely the result of a deliberate effort by the Trump administration to discourage sign ups. For example, the administration cut advertising funding by 90 percent and the outreach budget by 40 percent. In addition, the 2017 tax cut legislation effectively repealed the individual mandate by cutting the penalty for not having insurance to zero. Perhaps the most emotional component of the A.C.A. was the guarantee that coverage could not be declined to Americans with pre-existing conditions. In December, a federal judge in Texas ruled that all of Obamacare was unconstitutional. What got little attention at the time was the fact that the Trump administration intervened in the case at that time to argue that while the entire A.C.A. was not unconstitutional, the provisions surrounding pre-existing conditions should be nullified. (What happened on Monday was that the administration said it would not challenge any of the Texas judge’s ruling). The pre-existing conditions provision is so emotional because more than 50 million American adults have a pre-existing condition, which can include issues as benign as sleep apnea and pregnancy, that insurers would outright deny coverage for if the A.C.A were not in effect. That’s more than a quarter of all American adults. 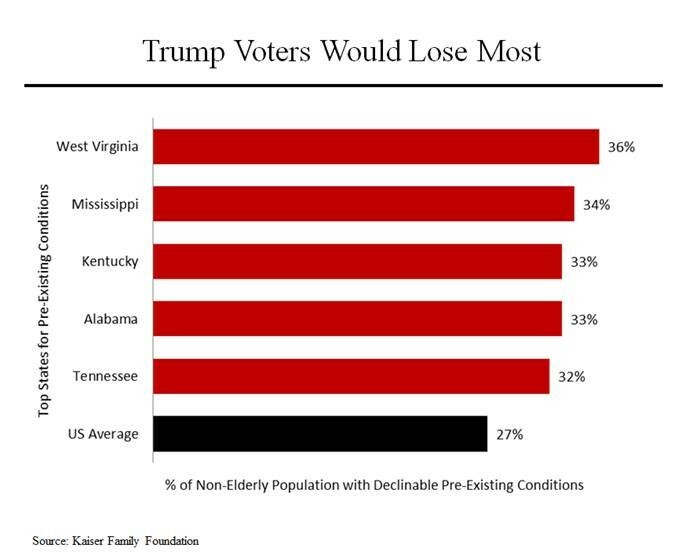 On top of that, the states with the highest proportion of residents with pre-existing conditions all voted strongly for Mr. Trump in 2016. That’s part of what makes the administration’s decision so perplexing. What also makes the administration’s action perplexing is that the Republicans have yet to come up with any reasonable alternative to the A.C.A. 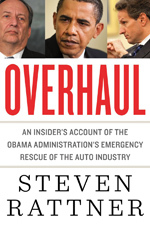 while Obamacare has grown significantly in popularity. Ironically, that’s probably due in some measure to the efforts by Republicans to repeal it, which have focused Americans on the benefits of the program. Not coincidentally, even some Republican leaders have called on the administration to back off.